Chatham Coast Guard Auxiliary Flotilla members (left to right) Bruce Brady, Michael Hays, David Quincy and Larry Foss man the watch room in Coast Guard Station Chatham, Thursday, Feb. 15, 2018. 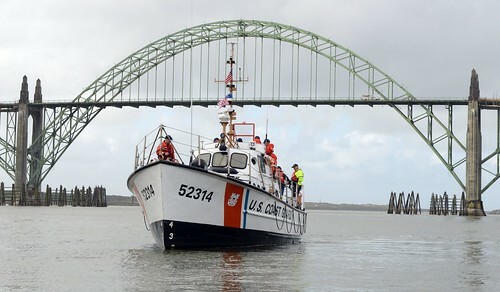 U. S. Coast Guard photo by Auxiliarist Reid Oslin. 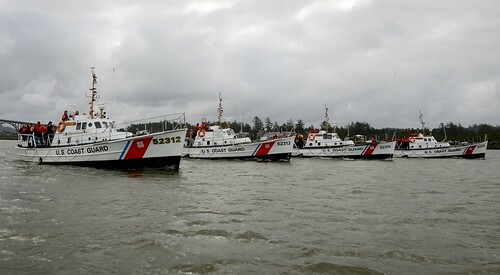 CHATHAM – Four members of the U.S. Coast Guard Auxiliary’s Chatham Flotilla stand regular watches as the eyes and ears of Coast Guard Station Chatham. The four qualified Auxiliary watchstanders – Bruce Brady of South Yarmouth, Larry Foss of Chatham, Michael Hays of Harwich and David Quincy of Orleans – man the communications watch room at the busy local Coast Guard Station for hundreds of four- or eight-hour shifts throughout the year. 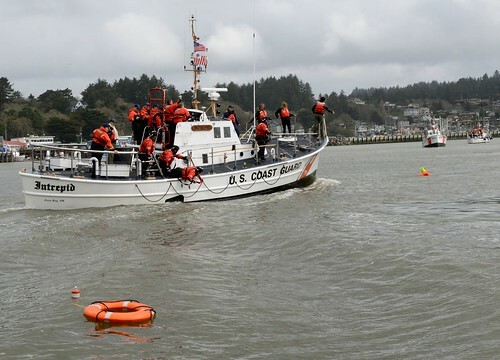 They answer telephone and radio calls from recreational boaters, local fishermen and Coast Guard units; monitor and respond to emergency channels; issue weather and sea condition alerts; and operate as key team members of Coast Guard search and rescue operations when needed. Each qualified Auxiliary watchstander spends months gaining the knowledge and certification required to handle a communications watch properly. 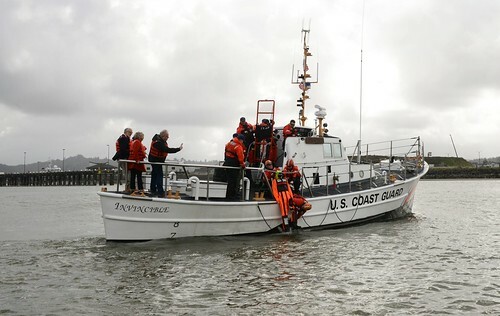 In addition to search and rescue procedures, computer and radio operation, chart work and plotting, keeping an accurate station log, and correctly following Coast Guard protocol, each watchstander must demonstrate complete knowledge of Station Chatham’s complicated area of shoreline and off-shore responsibility – a wide array of complex and potentially perilous waters stretching from Nauset through Nantucket Sound. 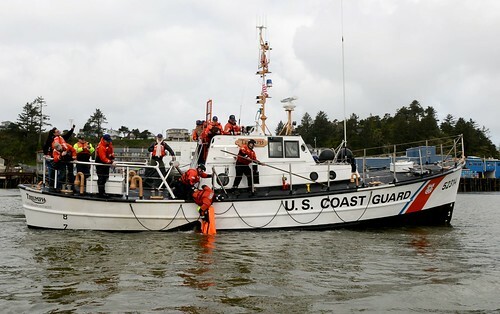 Ross says that the Auxiliary volunteers free up time for new station crewmembers to prepare for their own future communications and boat crew assignments. “They are the ones who would be standing the watches if our Auxiliarists were not there,” he says. 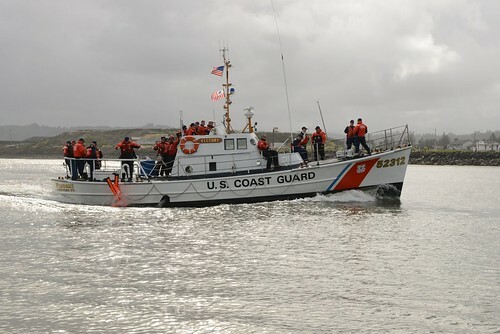 A retired former high school teacher and attorney, Brady says that he has wanted to “be involved in Coast Guard operations. Successful cases are the result of a team effort and the watchstander can have a part in each one.” He has been a station watchstander since 2014. Ross says that the rich life experiences of the Auxiliarists are an additional – and important – benefit for all of Station Chatham’s crew. “My appreciation is not just because of the junior members,” he adds. 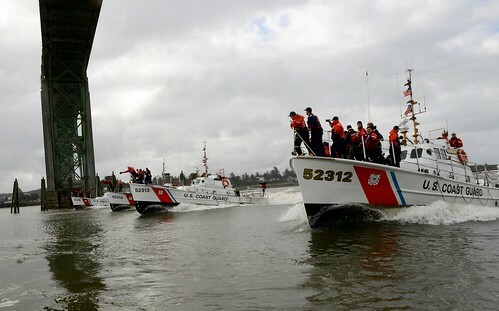 “The Auxiliarists probably touch the senior folks here – like me and the Executive Petty Officer (Chief Petty Officer Travis T. Roloff) – even more than the younger guys. These gentlemen have ‘lived’ life. We lean on those four more than most people would realize,” Ross says. “Countless times I have talked to them about all kinds of issues and problems, and the value of these four goes way beyond the watchstanding; way beyond the ability of the younger members to start living their new lives now; it touches the senior folks in a way we really need,” Ross insists. “There have been countless times when I have gone in to talk with them about something.